I love exchange traded funds (ETFs). 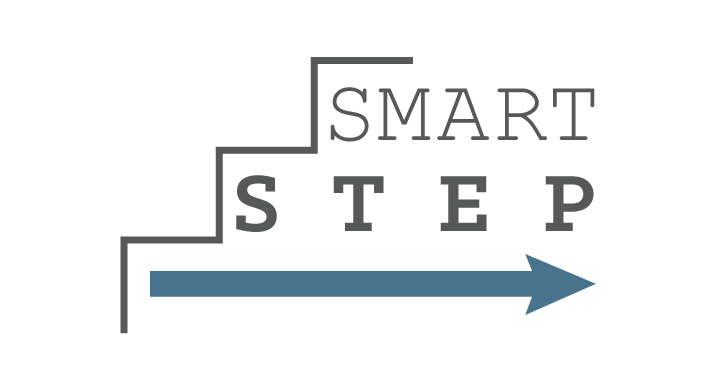 They are a great way to start investing right away at a really low cost. However, this does not mean that an ETF is always the best investment vehicle to use. Deciding if an ETF is the right investment comes down to what you are investing in and what type of account you are using to make the investment in. I want to make this as easy as possible for you to decide if it is right for you or not. However, before I get to the point where I can give you a check list I need to get a bit boring here and discuss taxes. Why taxes? Because this has a big impact on where I will recommend you invest. Understanding why everyone is talking about why ETFs are tax efficient will help you know if you should even be using an ETF. ETFs are tax efficient because of how they are structured. They allow authorized participants (the big institutional type investors) to trade a share of the ETF for the actual shares within the ETF. This is called an in-kind exchange. For example if they owned an S&P 500 index ETF, they could exchange that for a share of each of the companies in the ETF. When this happens the authorized participant pays capital gains taxes when they sell the shares, not the ETF provider. Thus there are no capital gains to pass along to the investor, only dividends. This reduces your tax liability. Mutual funds on the other hand are selling the shares themselves, and paying capital gains. Thus they pass that cost along to you. However, there are a few cases where an in-kind exchange is not an option. This will cause the ETF provider to pay the gains, and then pass it on to you. This will eliminate the tax efficient benefit. Active ETFs where the manager is trading frequently and there may not be time for the authorized participant to make the exchanges. International funds, especially emerging markets, as not all countries allow for in-kind exchanges. Leveraged ETFs and ETFs using derivatives – you cannot make exchanges with these types of assets. Additionally, there are some ETFs that are not taxed like stocks, but instead are taxed like the asset it holds. For example, gold ad other precious metals are taxed as collectibles. Taxes are hard enough to plan for as a business owner, there is no need to add an extra level of uncertainty by not understanding the tax implications of an investment. 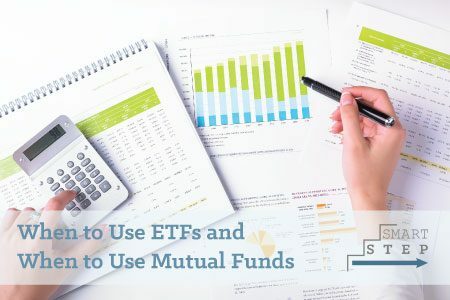 So now that the tax basics are covered let’s go into the specifics on when you should use ETFs and when you should use a mutual fund and in which accounts, so you can keep those taxes as simple as possible. Don’t have a large amount of capital to get started. You just need enough for one share and commission fees. If this is the only way to start investing take it and run! You want to invest in a plain vanilla passive index. International funds that do not focus on emerging markets. Your brokerage does not give a price break on commissions for reinvesting dividends. Since an ETF is traded like a stock it comes with a commission fee every time you buy. However, there are cases where the firm will waive the commission when you reinvest. Also make sure your rates for the initial purchase and subsequent purchases are not too high. I have seen rates as high as $29.95 per trade all the way to zero. However, be cautious with your discount brokers, do some research, call customer service to see how helpful they are and ask around. Sometimes it is worth paying a couple extra dollars to get good service. Remember every fee you pay means less money you have earning you a return. You can’t fight the urge to trade on a regular basis. Since ETFs are traded like stocks it can be easy to start trying to time the market. This is a good way to lose. The ETF you are looking at does not have a lot of assets. If it is too thinly traded it will cost you money and create more risk since there is less liquidity. Hopefully this helps you determine where to use ETF’s in your portfolio. When in doubt check with a trained financial professional or your CPA to discuss tax issues.